It is not always easy to be absolutely certain when a member of your staff has resigned. This was the case in East Kent Hospitals University NHS Foundation Trust v Levy. To be effective, the ‘resignation’ needs to be unambiguous. The Employment Appeal Tribunal (EAT) confirmed that the surrounding circumstances need to be considered. Ms Levey worked in the Trust’s records department as an admin assistant in the Records Department. She applied for a position in the Radiology Department and was successful in receiving a conditional offer of employment. Many offers are subject to satisfactory references – as was the case here. She wrote to her manager stating “Please accept one Month’s Notice from the above date”. Her manager responded the same day headed ‘notice of resignation’ in which he accepted Ms Levey’s resignation and confirmed her last day of employment. The conditional job offer in Radiology was withdrawn and Ms Levy sought to retract her letter giving notice. The NHS Trust refused. Her employment terminated at the end of her notice period after which, she brought a claim for unfair dismissal. The Employment Tribunal found that Ms Levy’s notice letter was ambiguous as to whether she was giving notice she was giving notice to leave the Records Department or the NHS Trust. A reasonable recipient would have understood the words to mean she was leaving the department only. It rejected the Trust’s argument that the words used in her letter were clear and unambiguous. Context was important. She won her claim for unfair dismissal. The EAT agreed with the Tribunal judge and dismissed the appeal. It held that the Employment Tribunal had reached the correct conclusion that the language was not clear and unambiguous. It had to be read in the light of the special circumstances that existed. The Tribunal was right when applying an objective test when determining how the words used would have been understood by a reasonable recipient of the letter. She had been unfairly dismissed. 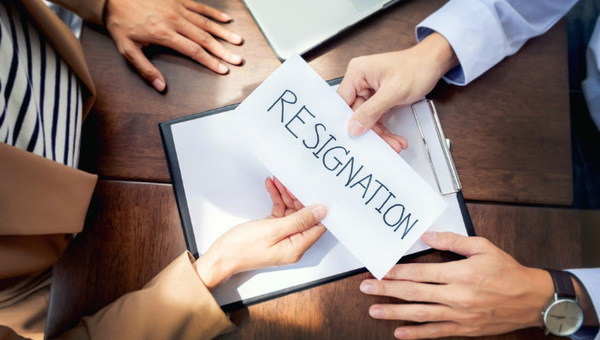 The decision highlights that employers should look at notices of resignations carefully before accepting them. Not only are the words that are used important but so too is the context. What of the retraction? Employers are not obliged to accept a retraction of a valid resignation but in this case, there was not a valid notice. If there is uncertainty in the wording or context, then the employer is at risk of unfairly dismissing the employee. Often, a resignation of a problem employee is a welcome relief. However, this decision is a warning of the risks in refusing the employee to withdraw their resignation.